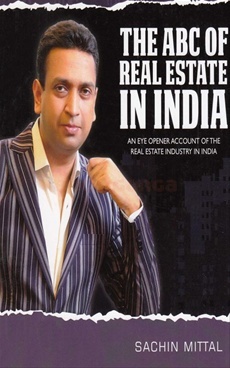 THE REAL ESTATE SECTOR IS GROWING AT A PHENOMENAL RATE AND IS THE SECOND LARGEST EMPLOYER IN INDIA AFTER AGRICULTURE. HAVING ATTAINED MATURITY. THE REAL ESTATE SECTOR IS NOW ATTRACTING HUGE INVESTMENTS, ESPECLALLY IN THE FORM OF FDI. SURPRISINGLY. EVERY MAN'S COMMON DREAM OF OWNING A HOUSE DIRECTLY CONNECTS TO THE REAL ESTATE SECTOR. THERE IS ALSO	AN EQUAL FOCUS ON THE CUSTOMER'S POINT OF VIEW AND AN EXPERT ANALYSIS OF THE CUSTOMER IN DUSTRY BOND. PERHAPS , THIS AND MANY OTHER ASPECTS ARE INCULCATED IN THE BOOK TO CLARIFY THE IMPORTANCE OF THE INDUSTRY IN THE BY LANES OF THE INDIAN ECONOMY.